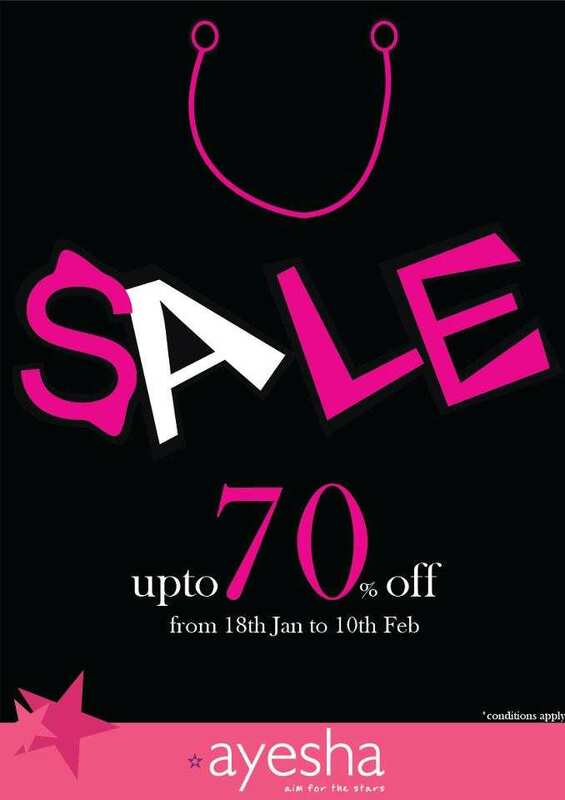 Ayesha Accessories Sale - Avail upto 70% off from 18 January to 10 February 2013. Ayesha's biggest SALE is ON!!! Avail upto 70% off on your fav accessories.